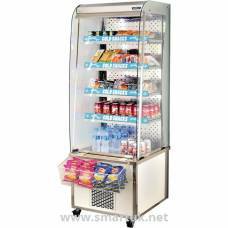 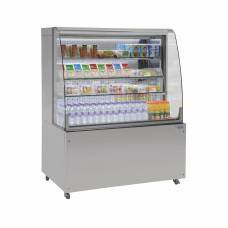 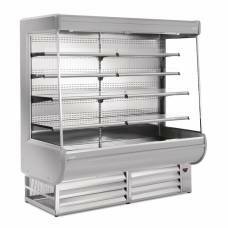 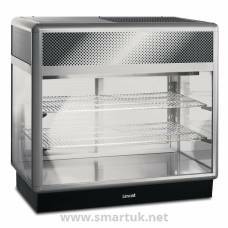 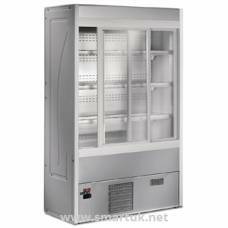 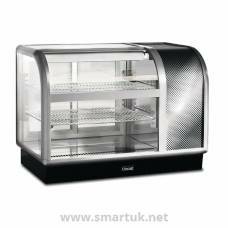 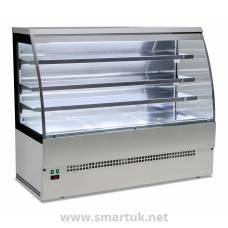 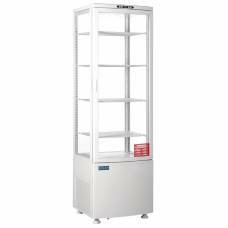 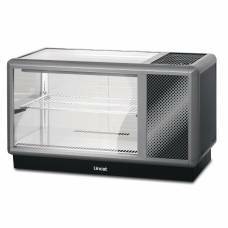 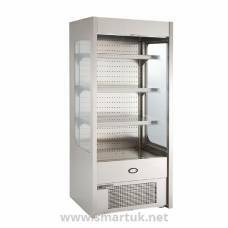 Chilled display cabinets for impressive presentation of patisserie, bakery products, desserts and other cakes. 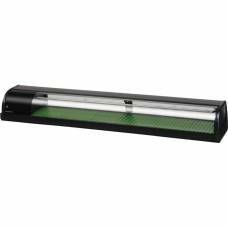 Rotating carousel that stops when door is opened. 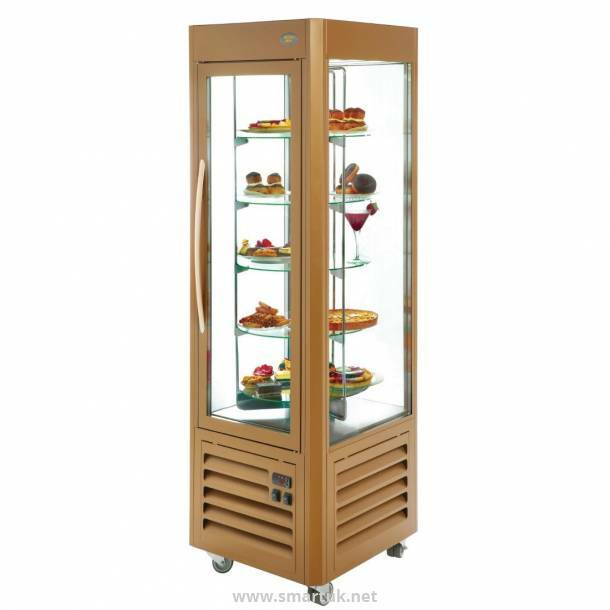 Gold finish with double glazed panels and doors. 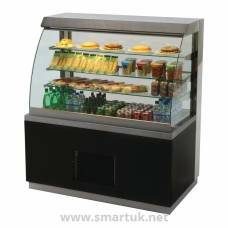 Four glass shelves and one mirrored shelf.